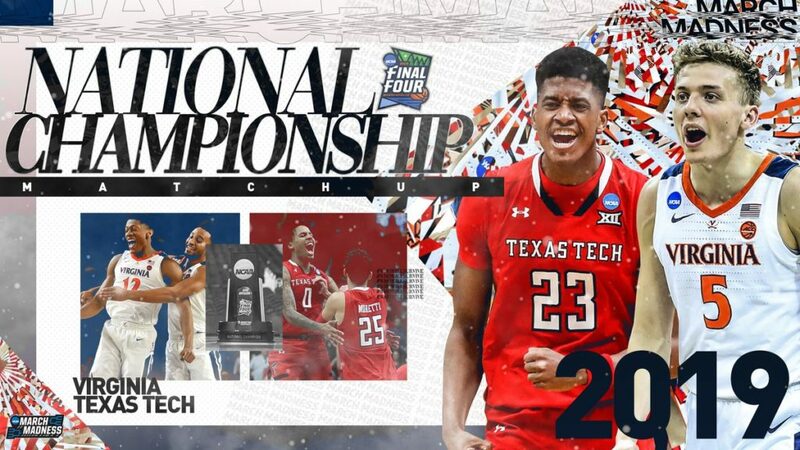 Defense will be the name of the game tonight when Virginia meets Texas Tech in the Final Four’s championship tilt in Minneapolis. Both teams have stifling stoppers and play extraordinaire defense Expect a low scoring, nail biting game. This one should be an all-time classic low scoring final. With the Baylor Bears winning the Women’s title last night in Tampa, the Big Twelve is trying to get a sweep of the college basketball world, and the Red Raiders have the team to get it accomplished. But Virginia is such a great defensive team so anything is possible. East Coast prognosticators, and money, say Virginia will take the title. The bias towards teams from the ACC come to mind in picking winners. Texas Tech was not picked to beat Michigan State in the National Semi-finals but did by ten points. The Big Twelve, as good as any conference in college basketball, will have it’s team as a dog tonight, by one and a half points. The Cavaliers might just as well take the court with the word Destiny across the front. You would think Virginia’s last two victories, delivered by Last Hope Fed-Ex, would convince everyone the Cavaliers are not about to be denied. My pick: Texas Tech 57, Virginia 55.